I began making cheese in 1997. After raising goats and sheep since the 1970s, along with a few cows and chickens, the farm was not self-supporting. I saw cheese as a value-added product that would allow me to keep farming and earn a living. I started with 13 cows, selling cheese at farmers’ markets and a few area stores. We’ve come a long way since then! Since Mark took over the cheese making, I am now in charge of the farm and the herd, as well as managing our NYC farmers’ markets. We are milking 45 cows twice a day, and we have another 40-50 heifers and calves. Our cows are mostly Jerseys, but we have one Brown Swiss and we’ve just started to breed with Normande bulls from France. We have a closed herd, which means we don’t buy cows from other farms – we keep the best of our heifers and sell the rest to other dairies. We use artificial insemination, which has allowed us to select for certain desirable traits. 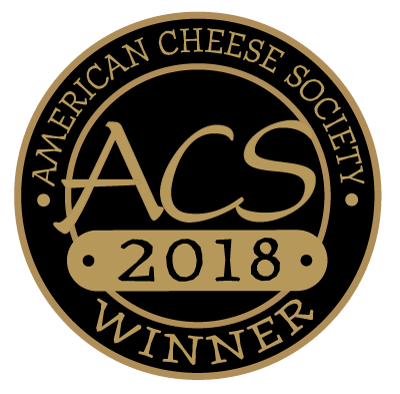 We seek genetics for a grass-based diet and high components (butterfat and protein) – I think you can taste the quality of our milk in our cheese! Of course, we also like strong, healthy animals with low somatic cell counts and a positive conformation – the functional traits that make a good milking animal. Recently the American Jersey Cattle Association appraised many of our cows with scores in the high 80s and low 90s, showing that our herd has attained a level of excellence compared with the breed average. More recently, we’ve started to look for animals that produce A2A2 beta casein, which some people believe is healthier for human consumption, and BB kappa casein, which is recommended for cheese production. One of my life long goals was to make sure our land would be preserved for future generations. I am pleased to say that we have two farm protection easements on the land. The first is from the federal Natural Resources Conservation Service’s Grassland Reserve Program, protecting all of our pasture land from development or cultivation. 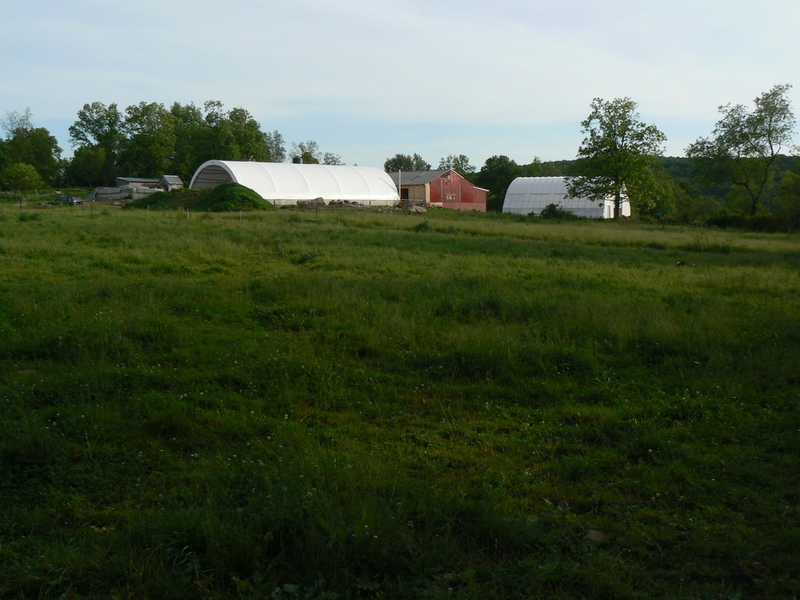 The second is an easement on the entire farm held by Connecticut Farmland Trust. We have dedicated staff, many of whom have worked on the farm or in the cheese room for more than five years. Thank you for your hard work every day! I have been back on the farm since 1999. I was teaching 7th grade English in Baltimore when my mom started making cheese. After three years in the classroom, I put my books in the attic and started helping out on the farm and in the cheese room. Now I make cheese and supervise the cheese making and aging processes, I manage the wholesale business, and I take care of the finances. Our cheese starts with our cows and the pastures they graze. If you taste our cheeses throughout the year, you will be able to appreciate the changes that come from changes in the cows’ diet. I love the sweet, grassy flavors and the gorgeous yellow color that the pasture milk brings to our aged cheeses in particular. In the winter we feed local hay, and the cows produce a lower volume of a much richer milk – this makes for a super creamy texture that’s ideal for Hooligan and our other semi-soft cheeses. Cheese making produces a lot of whey – for every 100 pounds of milk, we get only 10-15 pounds of cheese and the remaining 85-90 pounds is whey. We feed our whey back to our milk cows, since it contains protein and many nutrients and is an excellent way to recycle a waste product. The cows love it! Special thanks to our staff for your work! And thank you to our customers for supporting us. We couldn’t make cheese or run our farm without all of you.